Russian company A is a supplier of IT solutions for retail and logistics, mainly providing software and hardware solutions to large customers such as A local large retail supermarket. They are also Motorola solutions platinumPartner, authorized supplier of DATECS and Apple devices. The business covers goods transportation, stores, payment systems . The customer itself is our other competitor's customer, he has purchased two competitors' ring scanners. One bought 4 and three broke. The local agent said the product has been discontinued and not sold, rejected maintenance . While the supplier of another ring scanner cannot provide customers with customized services such as ODM. However, we have R&D team, so offering flexible OEM/ODM service to clients is not a problem for us. More importantly, 6 years R&D experience in developing ring scanners gives their much confidence in satisfaction of product performance and the reliability of after-sale service . Finally, after he visited our factory, establishing a large-volume wearable small ring scanner with our team has been done . The small ring scanner with a weight of less than 40g is equipped with a rechargeable but non-replaceable 500mAh battery. 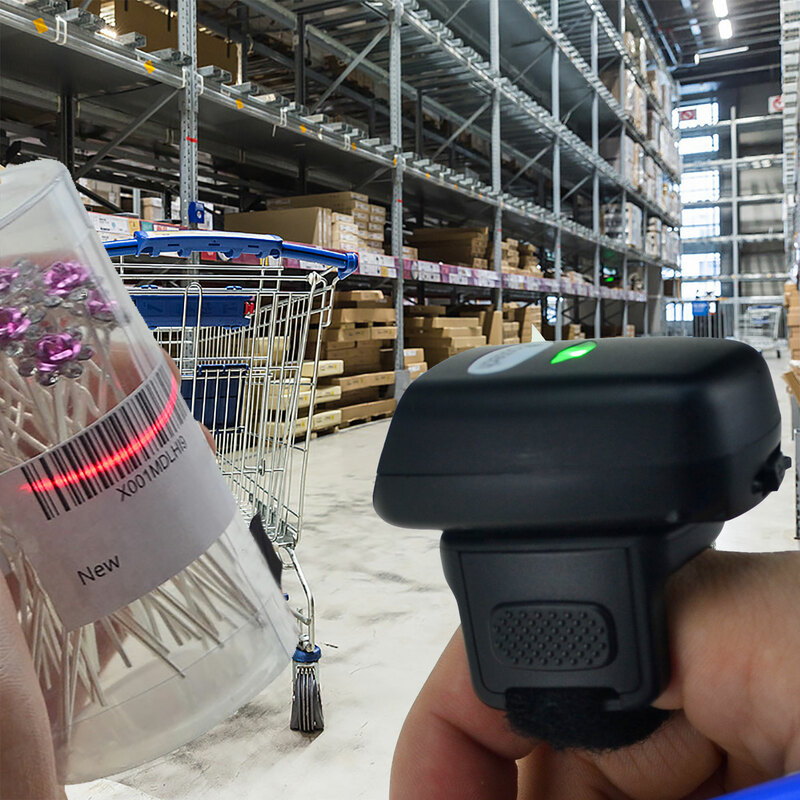 It looks small and light and stylish, and is equipped with high-end android phones, combined with customized software to make the customer's warehouse sorter staff’s arm not feel bulky after wearing a day’s work , greatly reducing their workload, 10m Bluetooth transmission distance, one-to-one Bluetooth transmission to make the working area unrestricted, at least improve the management efficiency of warehouse at 30% , helping customers to achieve more efficient, easier and cost-effective warehouse management.